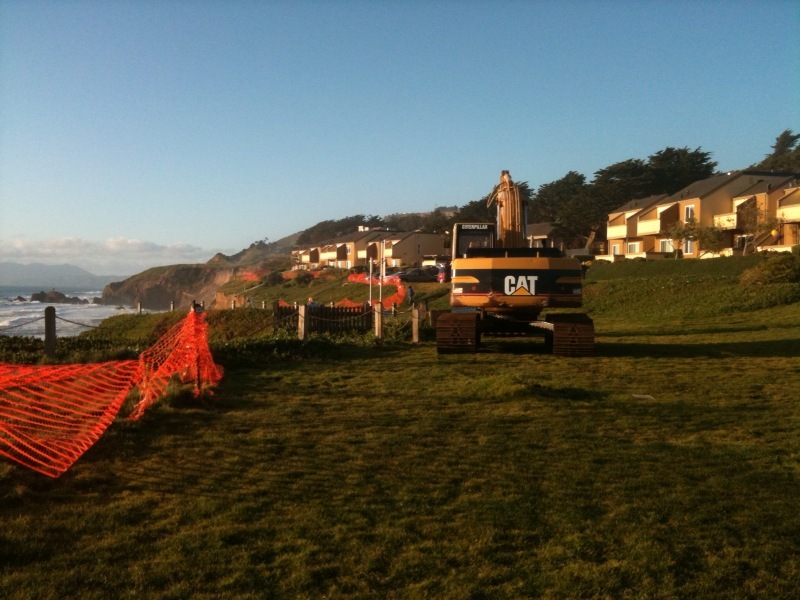 An excavator has appeared next to the closed coastal stairs in the open “dog park” area north of 310 Esplanade, and word is to expect an approximately 3-month project to shore up the bluff below Lands End, the driveway, and building 112. See pictures above (iPhone pictures – pretty good). As I said back on March 7th (Work to Begin at Lands End?) a road down through the dog park is essential even if it will be steep or switch-backed, or both. So while we’ll lose a nice neighborhood asset, at least temporarily, we will gain some needed security and safety. Installation of an approximately 3,240-square-foot, 50-foot-high soil nail wall along an approximately 40- foot-long section of the upper bluff consisting of (1) approximately 50-foot-long soil nails placed at 5-foot intervals in both the vertical and horizontal direction, (2) a facing element such as shotcrete with wire mesh reinforcement. and (3) drainage panels behind the wall facing. Work was done to install stitch piers and reinforcements above the coastal zone to halt hillside slides that threatened one or more structures on the property. I don’t know if it’s complete. 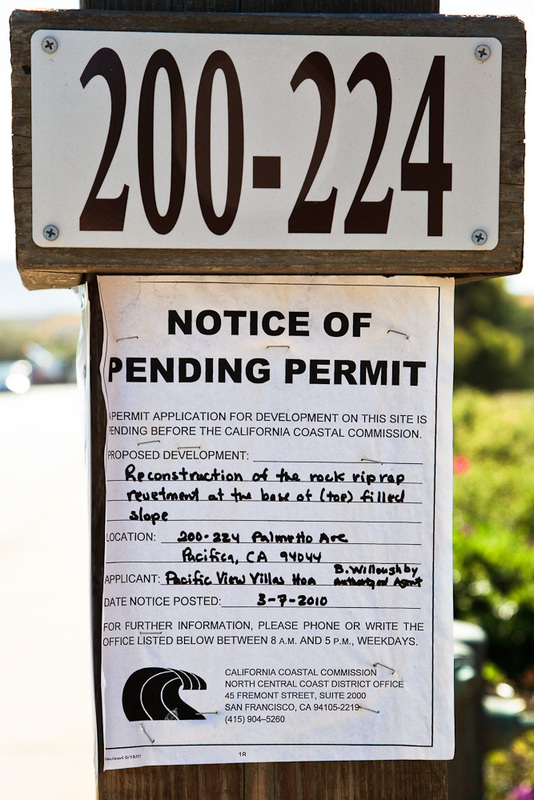 Notification of an emergency permit application for construction of a rock rip rap revetment, filed at the Coastal Commission for Pacifica View Villas, was posted at that property on March 21st. 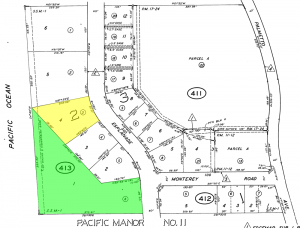 See Notice of Pending Permit – Pacifica View Villas HOA. I have not heard of any construction at that property yet. 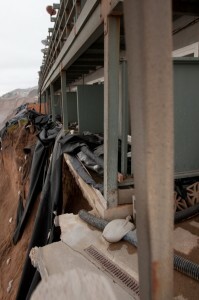 North end of the building remained stable but precarious, with sporadic new reports of minor sand falls from the bluff. Six apartments of the south end (3 first floor, 3 second floor) remain red-tagged and vacant. The patios of the end units are hanging in space and undercut nearly to the foundation but the bluff face is drilled and stabilized with soil nails and a sprayed layer of shot crete. 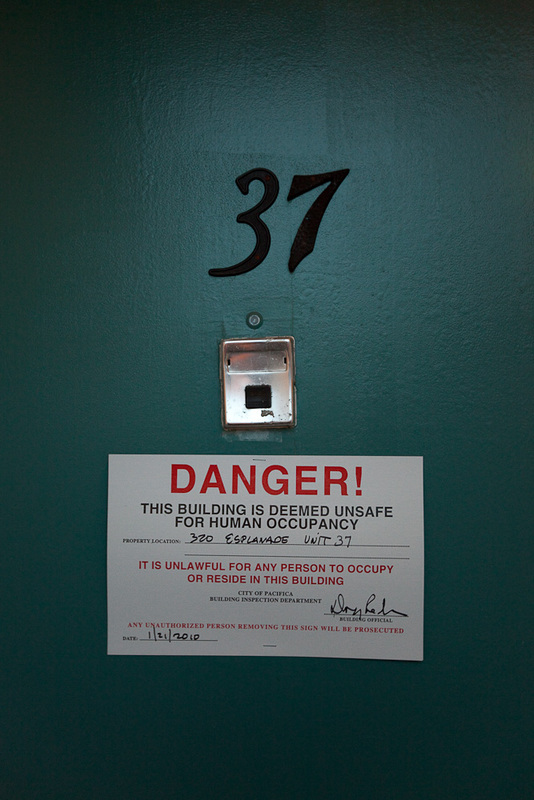 No further work is planned for 320 Esplanade, as far as I know. Details are the same as for 310 Esplanade. Entire building red tagged and vacant. No activity has been noticed at this address since the temporary anti-trespassing fencing was installed. 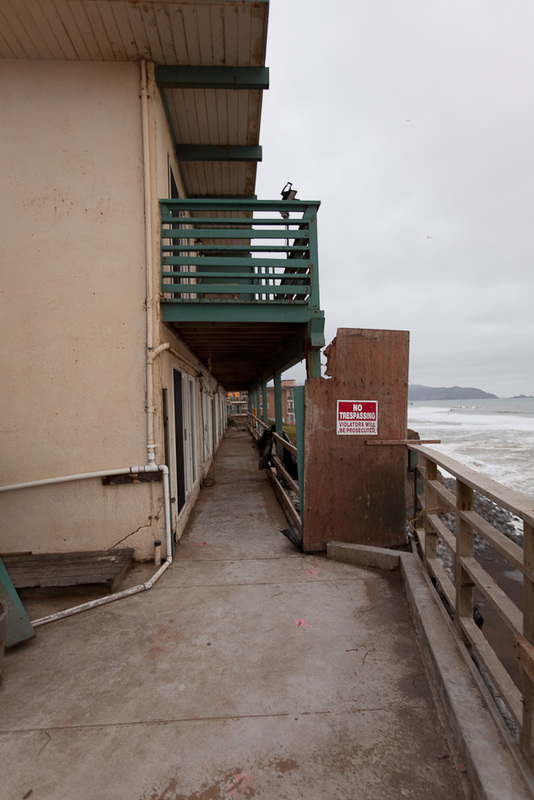 No permits for further work at 330 Esplanade have appeared on the Coastal Commission website, and there are no published or publically accessible plans that the City of Pacifica has indicated will enable residence to resume in the building. North end of building stable, protected by rock rip rap placed early this year. No indication of plans for additional work at this time. Has not experienced threatening bluff erosion to date. The Coastal Commission requires that applicants such as Pacific View Villas post a public notice of any permit they submit. 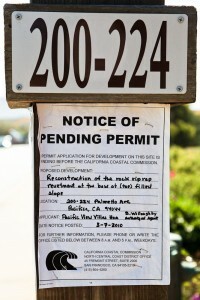 This doesn’t mean that the permit will be approved, or that work will begin any time soon. 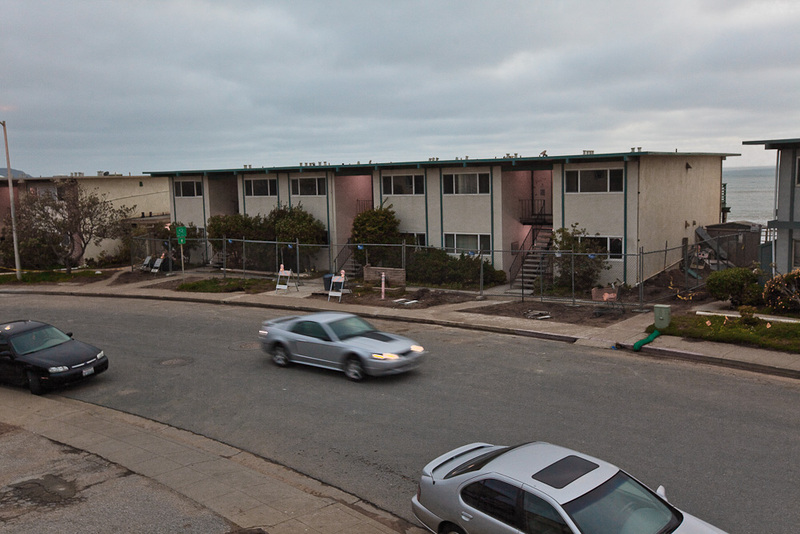 Permit application for development on this site is pending before the California Coastal Commission. Proposed Development: Reconstruction of the rock rip rap revetment at the base of (top) filled slope. Location: 200-224 Palmetto Ave. Pacifica, CA 94044. 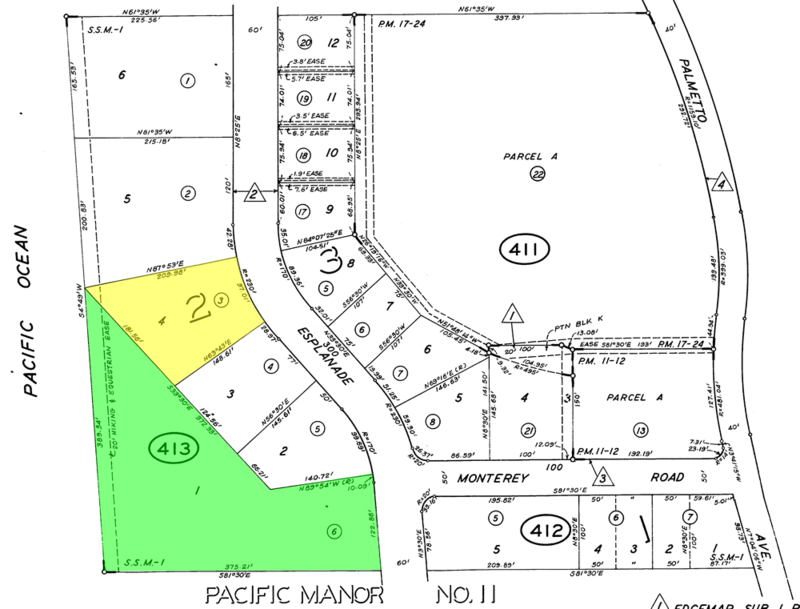 Applicant: Pacifica View Villas Home Owner Association; B. Willoughby Authorized Agent. 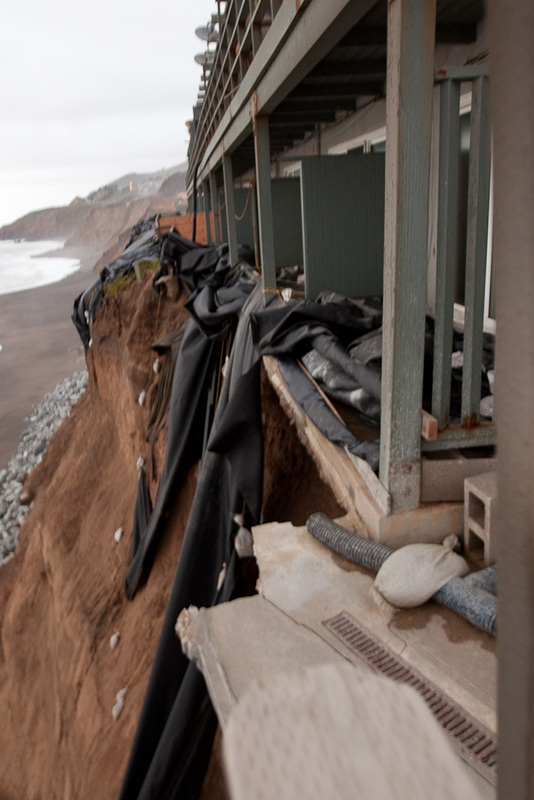 In Pacifica, as elsewhere along the 700 mile Coast of California, cliffs crumble and beaches wash away and return. Almost every year people are reminded that here along the San Mateo Coast, erosion averages 2 feet a year. But the process is not orderly and dramatic events often occur during El Nino years like the one we have experienced this winter. 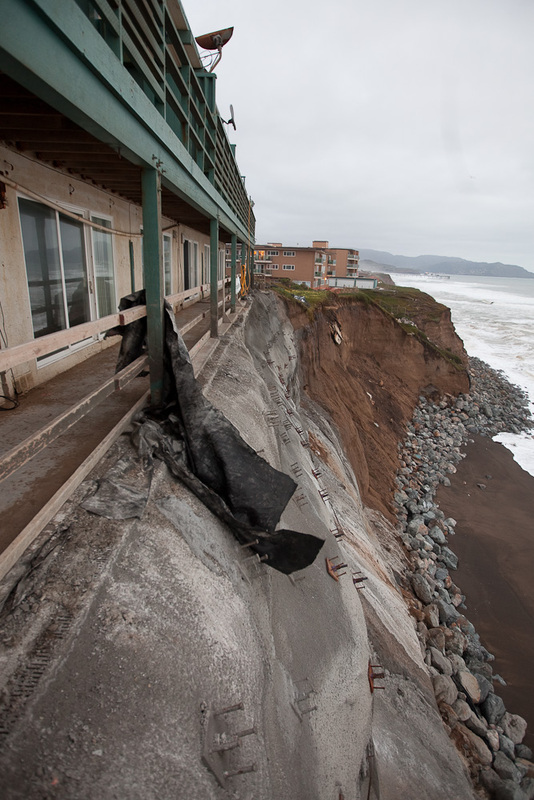 On Saturday, March 27, Pacificans are invited to a Coastal Erosion Forum at 2 p.m. at Sharp Park Library on Hilton. Phone: (650) 355-5196. Please park on the street, not in the library parking lot, which is reserved for library patrons. Opening the forum, USGS emeritus geologist Monty Hampton will present images of the Coast documented in Pacifica and other local communities. A coast resident and specialist in environmental marine geology, Hampton surveyed local coastal cliff retreats for many years as chief scientist for the U.S. Geological Survey. The second part of the forum will highlight recent studies undertaken by Phillip Williams and Associates, Ltd for the Pacific Institute. 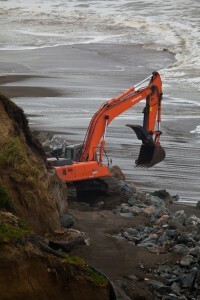 As an environmental hydrologist and civil engineer, Pacifican Bob Battalio will consider how our beaches and cliffs may be affected in the future by the same physical processes operating today. Charles Lester, Coastal Commission deputy director, will also be on hand if other responsibilities permit. The afternoon will close with questions and discussion. 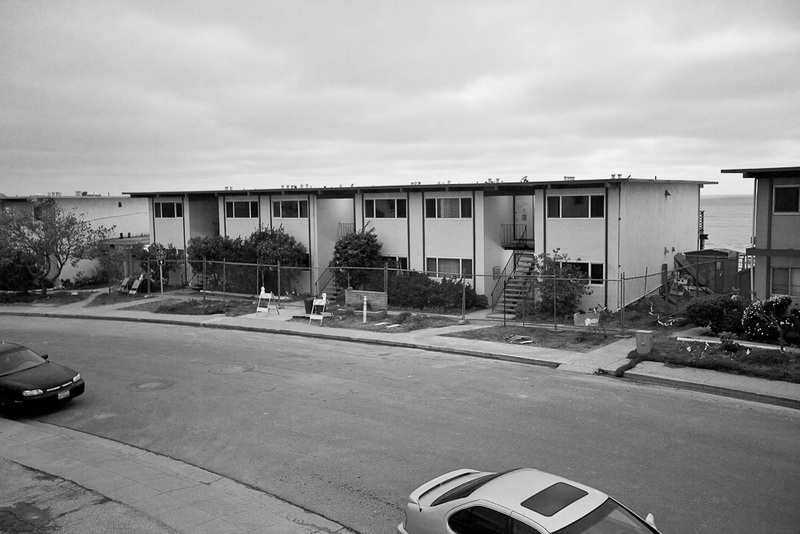 The same story (identical text) appeared in the Pacifica Tribune on MercuryNews.com. 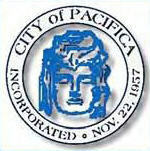 Original on Pacifica website. Following is the contact list as of March 11, 2010. The beginning of this new year has been fraught with numerous concerns, as you know. Every government entity that can be involved is involved in researching the issues of the bluff erosion and lives and properties at stake. Pacificans care for one another. One private residence, the former Dollaradio Station, is the site of the first transcontinental radio transmission. Meanwhile, an economic crisis continues worldwide and certainly Pacifica and its residents are being affected. San Mateo County Human Resources Dept has some offerings of assistance. At a recent City Council meeting, Ken Kong of SMCWorks gave a presentation. There was an urgency for information and assistance. So I am also in contact with SCORE which helps business owners and entrepreneurs. I did attend the Jobs Boot Camp sponsored by Congresswoman Jackie Speier. It was very positive for people out of work. Another Boot Camp will be offered soon. I have asked that it be in Pacifica. The website for employment opportunities (check out the two pages) and for wage subsidies for employers is: smcworks@smchsa.org (650) 877-5627. There are opportunities for parents, including for a non custodial parent, to attend free training in green jobs — please see the information on what’s new: Green Jobs Academy www.smchsa.org. The contact number is (650) 802-6433. There may be green jobs training for youth as well. Veteran’s can find information from various sources for Green Jobs and other assistance. When in doubt call Congresswoman Jackie Speier’s Office directly or look at her website. No matter where I go, I hear and read over and over again that economic hard times can give rise to great entrepreneurship. Small businesses are the backbone of America. I encourage all who have employment problems to take time to listen to your inner “dream” regarding work. SCORE and others are legendary for helping people create sound business plans. 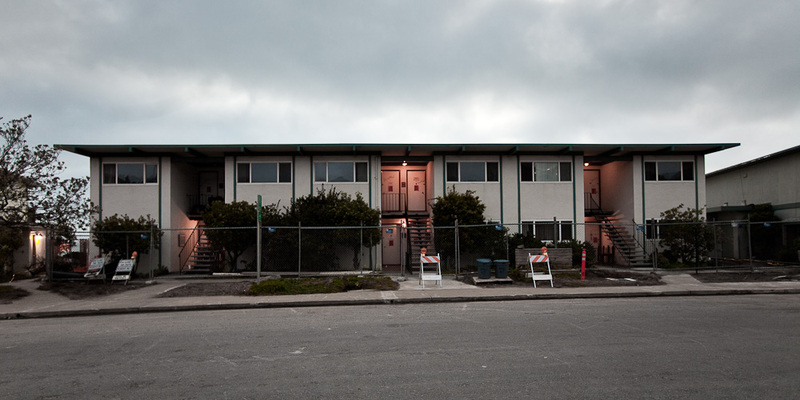 I am also hoping that there are three people in Pacifica who are committed to starting up a shuttle service. I say three, as I think it is easier to run one shuttle route successfully. But Pacifica needs three. The three CEOs could then collaborate to ensure that their shuttle systems provide a “transfer” that can be used among them, so that Pacifica will have complete and seamless transportation. I believe the quality of life of our non-drivers and our economy, and our desire to get rid of Highway 1 gridlock need this ASAP. May the information shared today help you or neighbors or a local business. Pacificans do care for one another. And thank you for that. 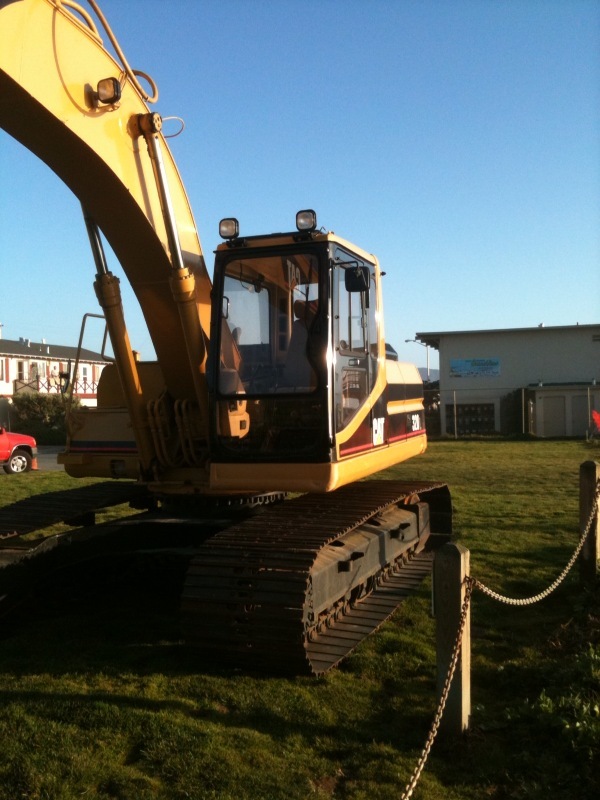 Work to Begin at Lands End? Sunday March 7 Esplanade Update – Work to Begin at Lands End? Residents expect work to begin toward building a rip rap rock wall (revetment) below Lands End, including the “dog park”, driveway and building 112. We’ve heard that the plan is to remove the remnants of the stairway and possibly use that space to excavate a dirt road down to the beach. I’m not sure what make of this since it seems the result would be awfully steep. It has been mentioned that a road of some sort is needed for efficiency, and that the overall distance from the existing way at the intersection of Manor and Esplanade is too far. As a lay observer the length of the road does seem to be problematic. The “road” that exists today starts at the intersection of Manor with Esplanade and is nothing more than boulders covered with sand. The problem is that the sand is largely washed away at each high tide, and without the sand, only tracked vehicles can use it. 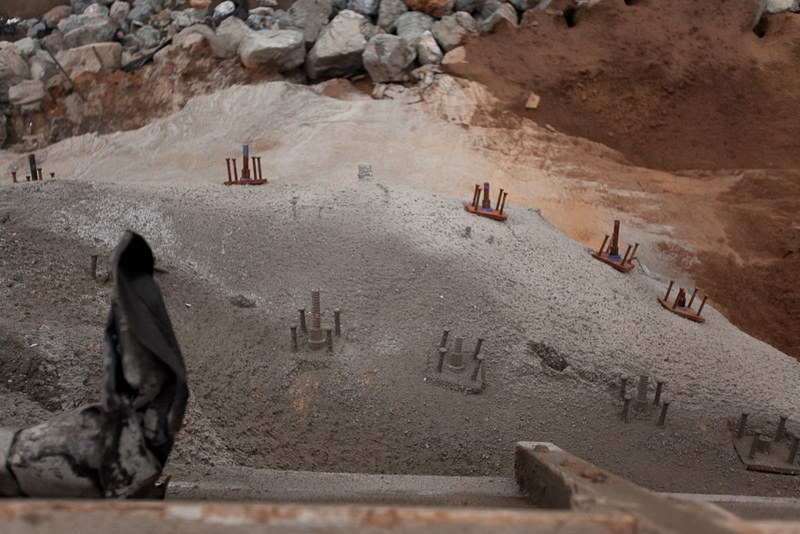 So each day, before the high-speed, high-capacity dump trucks can use the road, excavators have to get down there and resurface the boulders with sand. For pictures of the process of “rebuilding” road see my post from December 28th Covering the rock road with sand – Image Gallery. 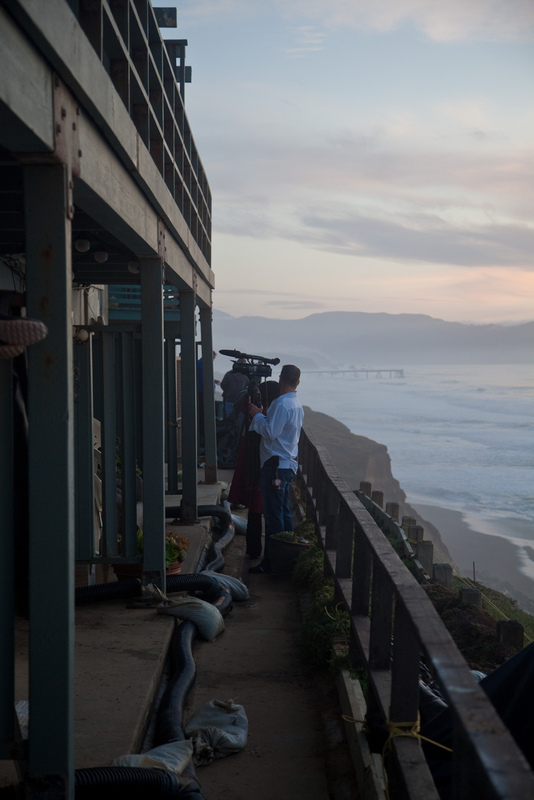 KGO-TV 7 (ABC) Pacifica mobile homes threatened by high waves. 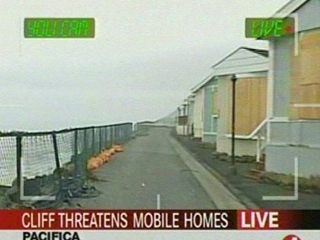 A few mobile homes in Pacifica were quickly boarded up after big waves began pounding the beach. One of the houses on 4th Avenue, inside the Pacific Skies Estates mobile homes park, was damaged. “I saw the pier yesterday and they were very high near the pier. This whole coastline is obviously a very serious situation. Work continued on the project to protect the Dollar Radio buildings. This work has been termed “temporary” and expected to provide a year or so of protection only. Fence installed around 330 Esplanade. 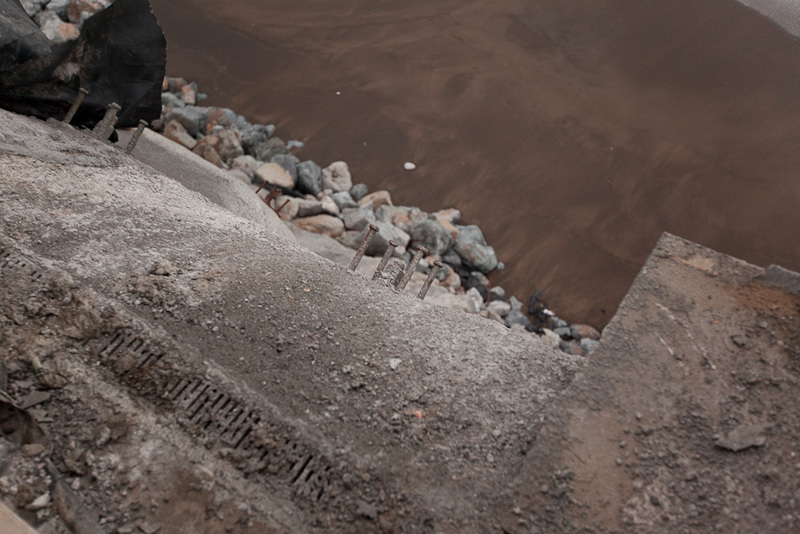 There are so many posts regarding the erosion-related problems in Pacifica that it’s getting harder to find things. The search functionality on the side of each page helps, as does the Esplanade page. I’ve been tinkering around with a more visual representation of the posts here: Experimental Esplanade Timeline – Version 1. Let me know what you think.